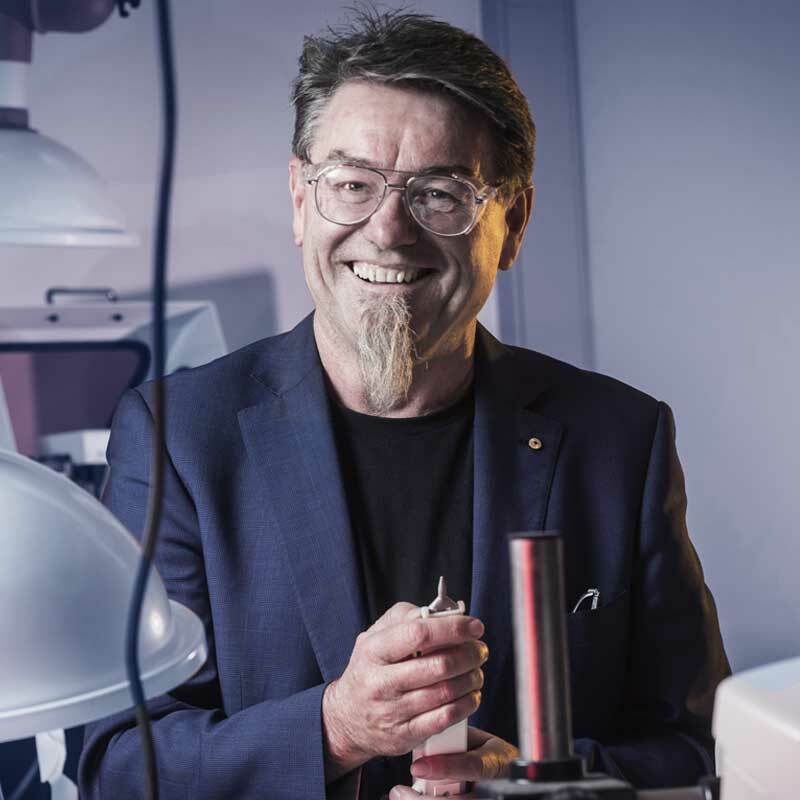 Professor Gordon Wallace’s research interests include organic conductors, nanomaterials and electrochemical probe methods of analysis and the use of these in the development of intelligent polymer systems. A current focus involves the use of these tools and materials in developing biocommunications from the molecular to skeletal domains in order to improve human performance via medical Bionics. He is a pioneer in the emerging field of nanobionics, a field that has already produced the Bionic Ear and in the future, has the potential to drastically change the capabilities of modern medicine. His team have recently had a breakthrough with the development of an inkjet printer that assists nerve cell generation, which has the potential to repair damaged spinal cords and heal hearing damage.